PJ Library in the Bluegrass | Jewish Federation of the Bluegrass, Inc.
PJ Library mails free, high-quality Jewish children's literature and music to families across the continent on a monthly basis. 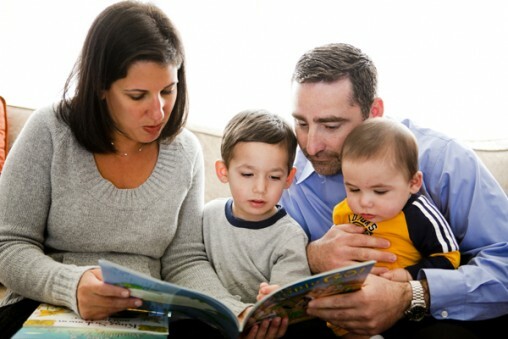 It is a Jewish family engagement program implemented on a local level throughout North America. PJ Library was created by the Harold Grinspoon Foundation and is made possible through partnerships with philanthropists and local Jewish organizations. Today, families in hundreds of communities across the United States and Canada are able to explore the timeless core values of Judaism through books and music. Our Lexington program is being provided by a small group of founding donors who, in collaboration with the Jewish Federation of the Bluegrass, make PJ Library available to children in our community. Our PJ community extends throughout Central, Southeast, and Eastern Kentucky and is available to families raising their child(ren) Jewishly, where one or both parents are Jewish. Books are currently sent to children ages 6 months to 8 years of age. PJ Library also hosts local events for young families at least four times per year. Check our calendar to see upcoming events. Visit our community page on the PJ Library website for additional information and our sign up form. Our local PJ Library program is open to children ages 6 months thru 8 years. Visit our community page on the PJ Library website for more information and to sign up. Click on the photos to zoom in and browse through the gallery.